Yesterday I featured the haul from the Professional Makeup Artist Convention (PMAC). Today I'm showing you the look I rocked to the show. I got the chance to speak on a Branding Panel and of course, I had to beat my face for the occasion! I was wearing a red/black flannel top, so I wanted to keep my makeup neutral but a little grungy. I went for a more 90s inspired look with berries and browns. 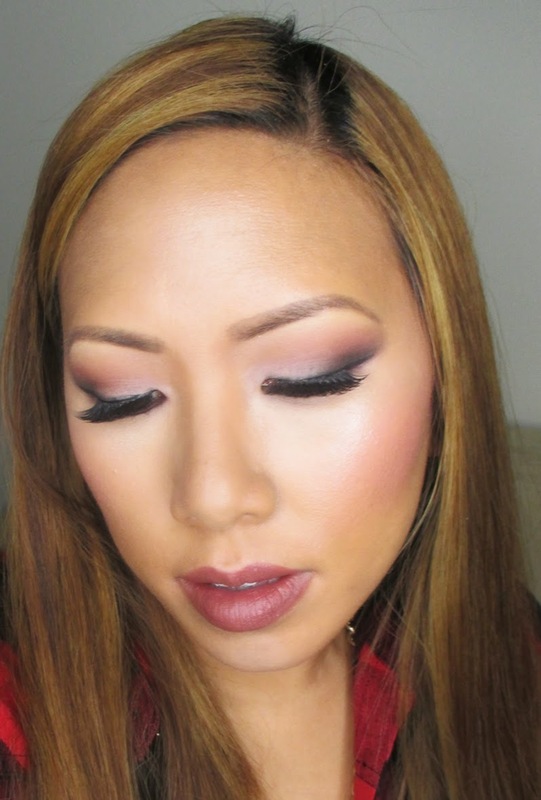 On my eyes, I used my go-to neutral Palette from Mehron which has a ton of amazing matte, neutral shades. I paired it with Koko lashes for a pop of drama. 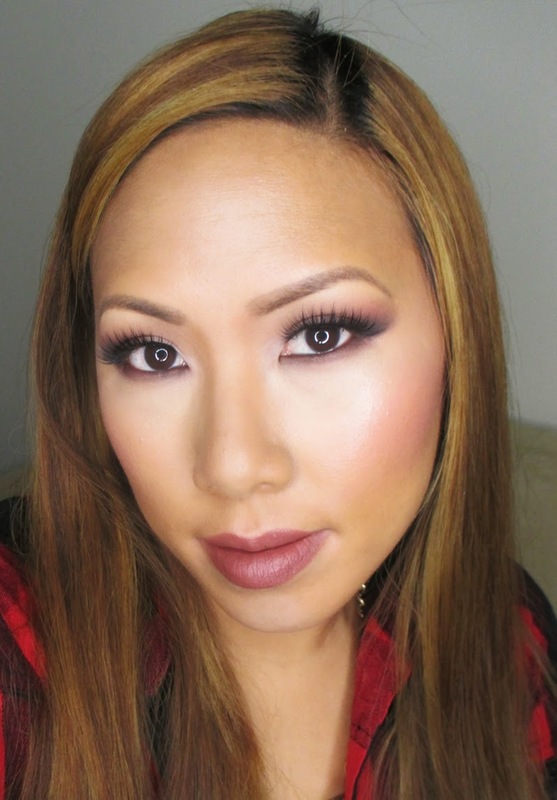 On my skin, I'm wearing my go-to glam foundation routine featuring CoverFX Total Cream Cover Foundation. I'm currently rocking shade G80 because of my new tan from my vacay to the Dominican Republic. On the cheeks I'm wearing the Balm Instain Blush. On the lips, I went for a browny mauve look to complete the 90s theme. I'm rocking the Wet N Wild $1.99 Megalast Lipstick in Mocha-licious. Loves it!